This post was originally published here on September 13, 2013. I’ve since updated the photographs and text in hopes of encouraging you to give it a try! How are you all feeling about the upcoming Holiday? Excited? Anxious? Un-prepared? Somewhere in between? Last week, I was starting to get stressed about how quickly Thanksgiving was approaching. But I managed to pull myself back from the proverbial ledge and enjoy a super fun and relaxing weekend (hiking, beers, pizza and ice cream galore!). So now I’m feeling much more sane. And mentally ready to tackle the weeks ahead. My Mom is hosting Thanksgiving at her house, but we will divide and conquer all the tasks for the big event. Yesterday we sat down and planned everything out. So now that I have my list of things that I’m in charge of, I’m feeling a lot less frantic. Lists always relax me. One of the things I’m responsible for this Thanksgiving is all the appetizers. 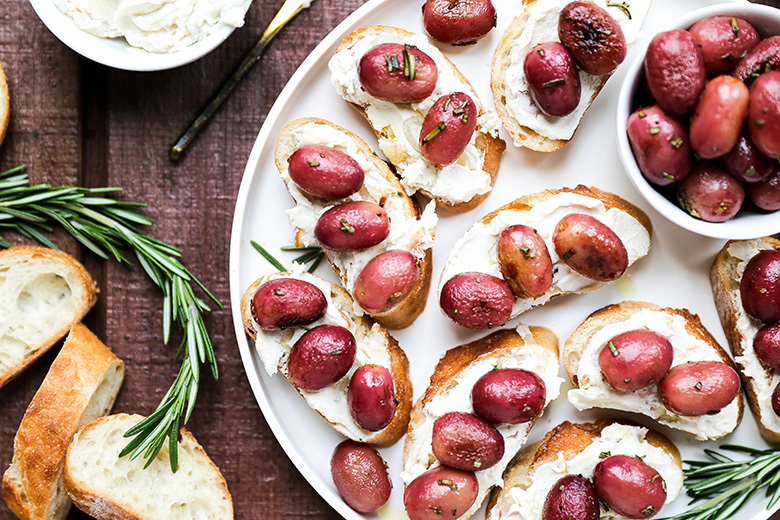 And you better believe that these Roasted Grape and Goat Cheese Crostini will be making an appearance at our table. I love roasted grapes in all forms. This time of year, I usually roast up an entire sheet pan of them at least once a week for adding to salads, grain bowls, yogurt, etc. 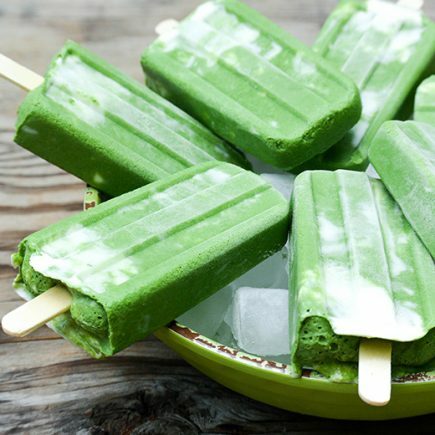 Anywhere you love using grapes, you can try replacing them with roasted grapes for an extra sweet treat. And they are especially good when combined with tangy goat cheese, sautéed shallots and crusty bread. 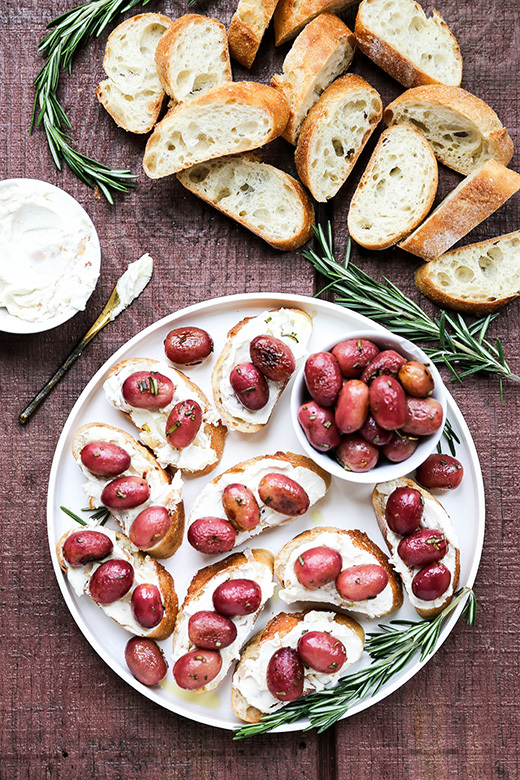 These Roasted Grape and Goat Cheese Crostini are seriously some of my favorite little bites EVER. And they are also one of the most requested things that I make. So you know they MUST be good! To save time on Thanksgiving day, you can make the goat cheese-shallot mixture in advance and store it in your refrigerator. Then on the day of, just roast the grapes and assemble the crostini before serving. Easy peasy! Pre-heat your oven to 400 degrees. On a large rimmed baking sheet, toss the grapes with the rosemary and 1 tablespoon of the olive oil. Roast the grapes in your pre-heated oven for 20 minutes, stirring once halfway through cooking time. Remove from the oven and set aside. Meanwhile, in a skillet over medium heat warm 1-2 tablespoons of the olive oil. Add the sliced shallots and cook, stirring frequently, until they are soft and lightly browned, about 8 minutes. Remove the skillet from the heat and set aside. Add the goat cheese and honey to a medium bowl. Add the sautéed shallots, plus any accumulated juices. Stir to combine. Slice the French baguette into 1/2 inch slices. You can warm or toast the slices, if desired. Then spread approximately a tablespoon of the goat cheese-shallot mixture onto each of the bread slices. Top with the roasted grapes. Serve immediately. You can substitute the goat cheese for ricotta or cream cheese. I’m so glad my Mom and I can share the work of Thanksgiving! I’ve done it by myself before and it’s overwhelming to say the least! 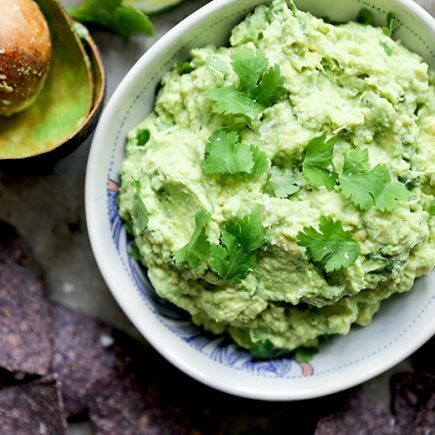 I love this easy appetizer! Roasted grapes are so delicious! Right? They are so yum! Haha mothers house for the win! I’m always in charge of appetizer and salads. I’ll take your lovely crostini any day! Yup, Mom’s are the best! I’m doing appetizers, a couple sides and one dessert. It’s gonna be fun! yum! The perfect Thanksgiving appetizer! I have never roasted grapes and wondering why after seeing this, sounds delish!! Oh you need to try them ASAP! PERFECT appetizer all winter long!!! Totally perfect for game days, too! 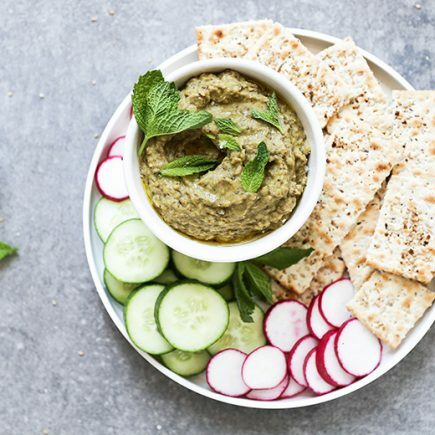 Your appetizer game is SO strong!! Awww…Happy Birthday to your hubby. That sounds fun to have a Birthday celebration on Thanksgiving! Hope you try out these crostini! Hi Liz…! 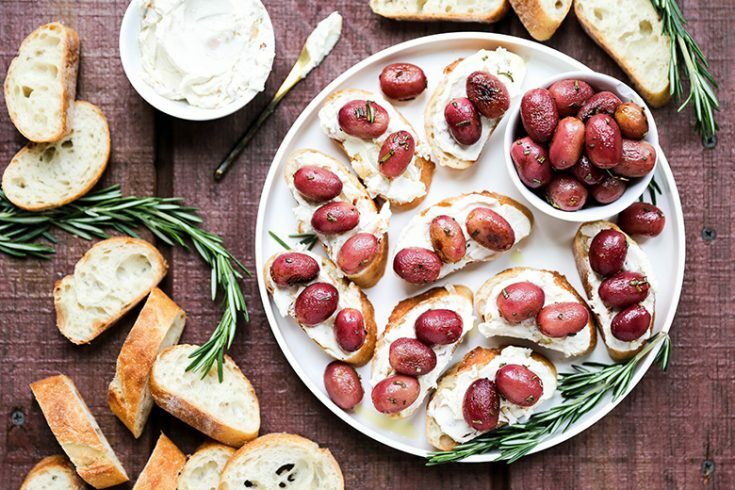 great your appetizer is amazing and your roasted grape…looks amazing and beautiful. Thanks for sharing…! Thanks! Let me know if you try it out!